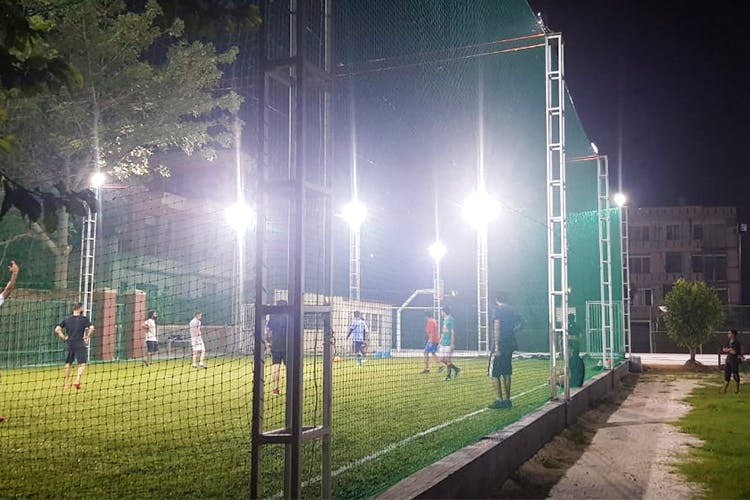 Spada Sports Arena is a multi-sports facility in Gurgaon that's got everything from 5v5 turf football to box cricket and a basketball court. For all the sports enthusiasts out there, this arena is offering a special deal where you can play box cricket with 16 of your friends (max.) for INR 2,400/hour. If you do the math, INR 150/person then is actually super affordable (even for an 11-player team, INR 218 is a decent deal). And that's not all—this fee includes the cost of the Vicky balls, bats, stumps, changing rooms, water and pumps, all of which, the folks at Spada will provide. Aren't you bowled over already? Make the most of this deal as it's valid only for the month of September. Price: INR 2,400/hour (max no. of participants—16, min—no limit). Validity: Tuesday, Wednesday or Thursday for one hour between 7pm to 11pm; Till the end of September.